Pepsi today unveiled its TV advertisement that will air during Super Bowl LII on February 4. Titled 'This Is the Pepsi', the 30-second in-game ad takes fans through decades of the brand's rich history in pop culture. The spot is narrated by Jimmy Fallon, and as previously announced, includes a new take on the famous 1992 Pepsi Super Bowl ad starring Cindy Crawford - and this time, also her son Presley Gerber. The spot also features iconic celebrities of Pepsi's past and present, including Britney Spears, Michael Jackson, Jeff Gordon, "Uncle Drew," and a cameo from the famous DeLorean Time Machine from "Back to the Future." Beyond the 30-second in-game ad, Pepsi also released a long-form version of the ad that will run on digital and across the brand's social media platforms. This ad marks the US. launch of Pepsi's global, year-long creative campaign, 'Pepsi Generations', rolling out across the full Pepsi portfolio – Pepsi, Pepsi Zero Sugar and Diet Pepsi. For 120 years, Pepsi has encouraged consumers to have fun, live out loud and enjoy life to the fullest. The Pepsi Generations campaign celebrates the best moments of our past, creates new iconic moments for today and sets the stage for an exciting future, allowing Pepsi to be the choice for decades to come. 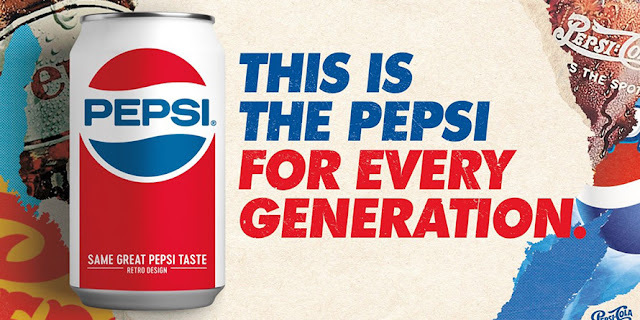 Pepsi Generations comes to life at the point of purchase with the limited-time introduction of retro packaging as well as the return of the Pepsi Stuff loyalty program. Fans can also look forward to the Pepsi Super Bowl LII Halftime Show, headlined by global superstar Justin Timberlake, as well as a Pepsi Generations Live pop-up that will be at cultural moments across the U.S. throughout the year, starting with the Super Bowl in Minneapolis. In the 10 seconds before the Pepsi Super Bowl LII Halftime Show, Jimmy will countdown to his friend Justin's epic performance with an unforgettable lead-in.